One of our design principles at Desmos is to “delay feedback for reflection, especially during concept development activities.” This makes us weird, frankly, in Silicon Valley where no one ever got fired for promising “immediate feedback” in their math edtech. We get it. Computers have an enormous advantage over humans in their ability to quickly give students feedback on certain kinds of work. But just because computers can deliver immediate feedback doesn’t mean they always should. For example, Simmons and Cope (1993) found that students were more likely to use procedural strategies like trial-and-error in a condition of immediate feedback than a condition of delayed feedback. I think I can illustrate that for you with this activity, which has two tasks. You get immediate feedback on one and delayed feedback on the other. How was your brain working differently in the “Circle” challenge [delayed feedback] than the “Parabola” challenge [immediate feedback]? The circle one was both more challenging and fun. I found myself squinting on the circle to visualize it in my head while with the parabola I mindlessly did trial and error. With the circle, the need to submit before seeing the effect made me really think about what each part of the equation would effect the graph in each way. This resulted in a more strategic first guess rather than a guess and check approach. I could guess & check the parabola challenge. In the circle challenge I had to concentrate more about the center of the circle and the radius. Much more in fact. I couldn’t use trial and error. I had to visualize and estimate and then make decisions. My brain was more satisfied after the circle. I probably worked harder on [the circle] because my answer was not shown until I submitted my answer. It was more frustrating than the parabola problem – but I probably learned more. This wasn’t unanimous, of course, but it was the prevailing sentiment. For most people, the feedback delay provoked thoughtfulness where the immediate feedback provoked trial-and-error. We realize that the opposite of “immediate feedback” for many students is “feedback when my teacher returns my paper after a week.” Between those two options, we side with Silicon Valley’s preference for immediate feedback. But if computers can deliver feedback immediately, they can also deliver feedback almost immediately, after a short, productive delay. That’s the kind of feedback we design into our concept development activities. BTW. For a longer version of that activity, check out Building Conic Sections, created by Dylan Kane and edited with love by our Teaching Faculty. At a workshop in Alameda County last month, I made my standard request for classroom teachers to help me make good on my New Year’s resolution. I assumed all the teachers there taught middle- or high-school so I said yes to every teacher who invited me. Later, I’d find out that one of them taught fourth grade. As a former high school math teacher, this was NIGHTMARE MATERIAL, Y’ALL. I mean, what do fourth graders even look like? I’m tall, but do I need to worry about stepping on them? What do they know how to do? Do they speak in complete sentences at that age? Clearly, what I don’t know about little kids could fill libraries. Children are teenagers are adults. Don’t let me make too much of my one hour of primary education experience, but I was struck hard by the similarities between all the different ages I’ve taught. People of all ages like puzzles. They respond well to the techniques of storytelling. Unless they’re wildly misplaced, they come to your class with some informal understanding of your lesson. They appreciate it when you try to surface that understanding, revoice it, challenge it, and help them formalize it. I handled a nine year-old’s ideas about a jar of Skittles in exactly the same way as I handled a forty-nine year-old’s ideas about teaching middle schoolers. Primary teachers have their pedagogy tight. Ben Spencer (my host teacher) and Sarah Kingston (an elementary math coach) were nice enough to debrief the lesson with me afterwards. I asked them if I had left money on the table, if I had missed any opportunities to challenge and chase student thinking. They brought up an interesting debate from the end of class, a real Piagetian question about whether a different jar would change the number of Skittles. (It wouldn’t. The number of packages was fixed.) I had asked students to imagine another jar, but my hosts thought the debate demanded some manipulatives so we could test our conjectures. Nice! Also, Spencer told me that when he asks students to talk with each other, he asks them to share out their partners’ thinking and not their own. That gives them an incentive to tune into what their partners are saying, rather than just waiting for their own turn to talk. Nice! As a secondary teacher, I felt like a champ if I asked students to talk at all. Spencer and his primary colleagues are onto some next-level conversational techniques. Primary students have more stamina than I anticipated. No doubt much of this credit is due to the norms Mr. Spencer has set up around his “Problem Solving Fridays.” But I’ve frequently heard rules of thumb like “children can concentrate on one task for two to five minutes per year old.” These kids worked on one problem for the better part of an hour. The pedagogy interests me more than the math. I think elementary math pedagogy is more interesting than secondary but I don't know if I can get excited about the math. This sentiment still holds for me after today. 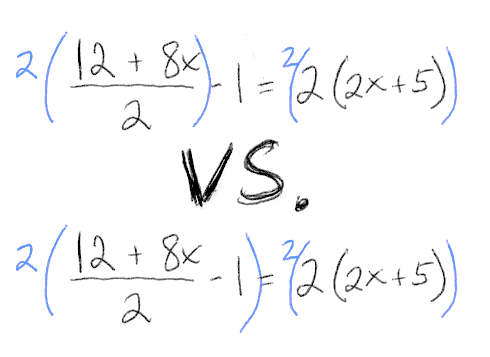 I just find algebra more interesting than two-digit multiplication. I’ll try to keep an open mind. Today was not an interesting day of math for me, though it was a very interesting day of learning how novices learn and talk about math. I’m probably not wacky enough for this work. Mr. Spencer greeted his students by calling out “wopbabalubop!” to which they responded “balap bam boom!” Really fun, and I don’t think you can teach that kind of vibe. Loads of algorithms, and none of them “standard.” Graham’s 3-Act modeling task asks students to multiply two-digit numbers. I saw an area model. I saw partial products. Students used those approaches flexibly and efficiently. They were able to locate each number in the world when asked. I didn’t see anyone carry a one. Everyone should settle down. This is great. I expected the experience would either kill me or convince me I should have taught primary students. This one fell somewhere in the middle. I’m excited to return someday, and I was happy to witness the portability of big ideas about students, learning, and mathematics from adult education to high school to elementary school. I remember my first venture in elementary school after teaching ninth grade algebra and eighth grade math for four years. I was curious about younger students and my friend invited me into her third grade class. I can’t remember anything about the lesson I taught, but what I do remember is that I made a student cry. He had done something that I thought was inappropriate behavior and I must have responded pretty harshly. Hey, I was used to teaching older tough kids and I had never thought about modulating my response. It wasn’t my finest hour and I was devastated. My friend helped me through the experience and I even went back. After then I learned other ways to talk with younger students and became more and more fascinated about how they formed their conceptions . . . and misconceptions . . . about mathematical ideas. I’m hooked. This is the first of several posts where I’ll use the activities Desmos created last quarter to illustrate our design principles. Create an intellectual need for new mathematical skills. Nowhere is that principle more necessary, in our view, than in the instruction of algebraic expressions. Three of my least favorite words in the English language are “write an expression” because they so often mean we’re asking the student to do the difficult work of variable manipulation without experiencing any of the fruit of that work. In both of the questions below, students are likely to experience the work of writing an expression as punishment, not power. 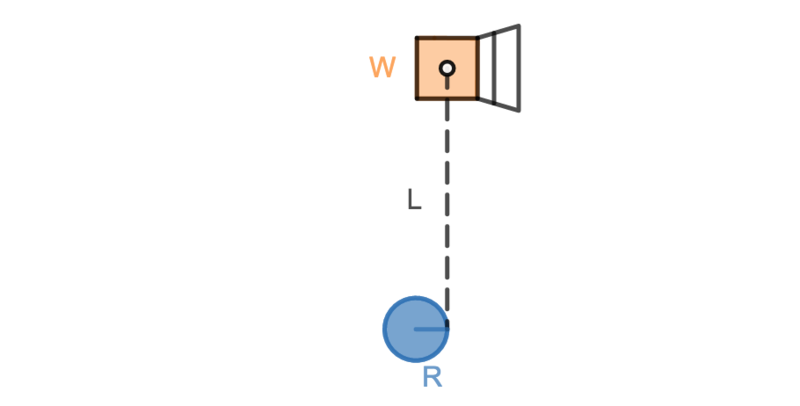 Given the width of the lawnmower (W) and the length of the rope (L), write an expression for the pole radius (R) that will make the lawnmower cut the lawn in a perfect spiral. 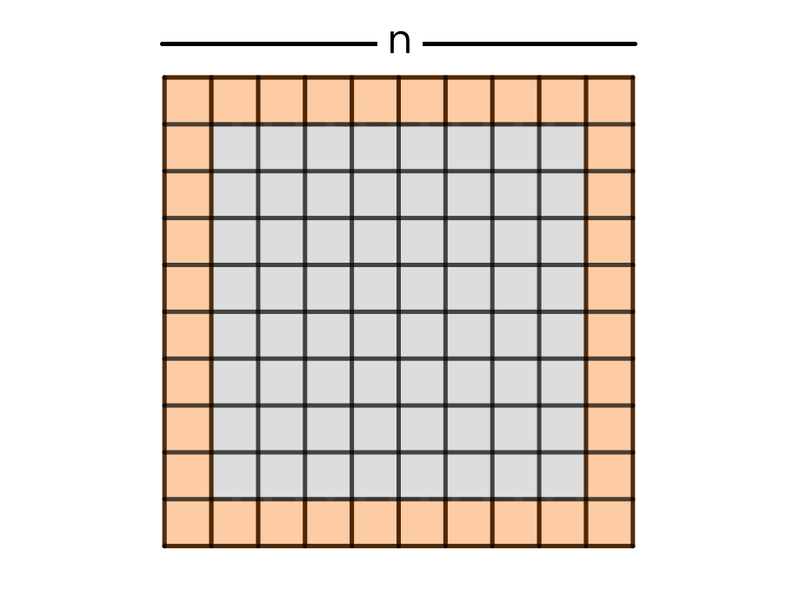 Given the width of the pool in tiles (n), write an expression for the number of tiles that will fit around the pool border. And then we use their expression to power ten pool borders. Those activities are Pool Border Problem and Lawnmower Math. 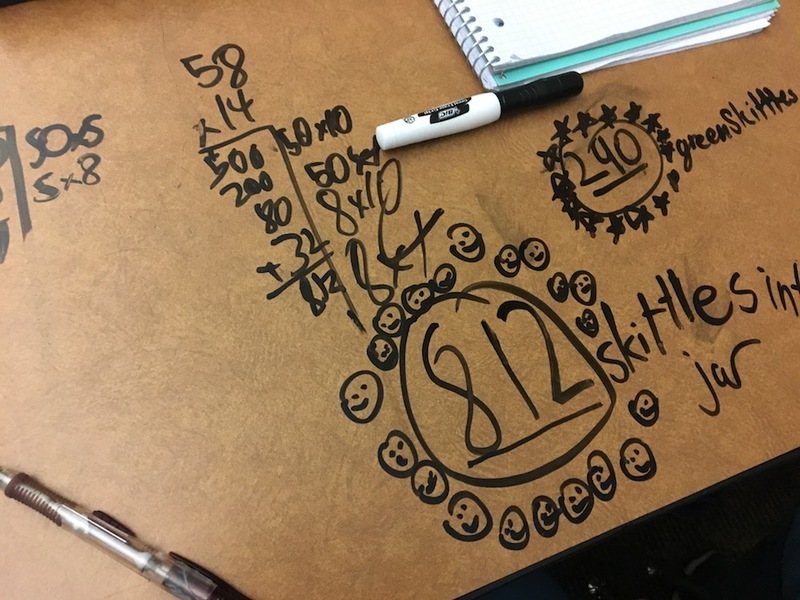 In Picture Perfect, for another example of this principle, we give students the option of either a) filling in a table with 24 rows, or b) writing an algebraic expression once. In each case, students are more likely to see algebra as power than punishment. We were solving linear equations in Ms. Warburton’s eighth grade class last week and I learned (or re-learned, or learned at greater depth) a couple of truths about mathematics. If you’ve taught math for a single day, you know the choice here. You can tell them, “You multiply the whole thing by two.” That’d be helpful by the definition of “helpful” that includes “completing as many math problems as correctly and quickly as possible.” But in terms of classroom management, I’ll be doing myself no favors, having trained B and R to call me over whenever they have any similar questions. More importantly, I’ll have done their relationship with mathematics no favors either, having trained them to think of math as something that can’t be made sense of without an adult around. After some quick arithmetic, they experienced a moment of clarity. 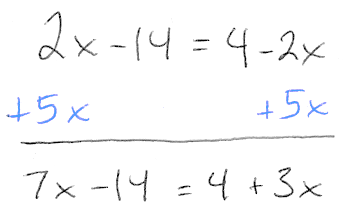 In the next class, students were helping me solve 2x – 14 = 4 – 2x at the board. M told me to add 2x to both sides. One advantage of my recent sabbatical from classroom teaching is that I am more empathetic towards students who don’t understand what we’re doing here and who think adding 2x to both sides is some kind of magical incantation that only weird or privileged kids understand. Nothing. We decided that nothing would break if we added 5x to both sides. It wouldn’t be as helpful as adding 2x, but math isn’t fragile. You can’t break math. I haven’t found a way to generate these kinds of insights about math without surrounding myself with people learning math for the first time. One of my most enduring shortcomings as a teacher is how much I plan and revise those plans, even if the lesson I have on file will suffice. I’ll chase a scintilla of an improvement for hours, which was never sustainable. I spent most of the previous day prepping this Desmos activity. We used 10% of it. Language from the day that I’m still pondering: “We cancel the 2x’s because we want to get x by itself.” I’m trying to decide if those italicized expressions contribute to a student’s understanding of large ideas about mathematics or of small ideas about solving a particular kind of equation. I have a huge problem with ‘cancel.’ It’s mathematical slang, and I’m OK with its use among people who really understand the mathematics. But among learners it obscures the mathematics and leads to things like “cancelling terms” in rational expressions. I think the word “cancel” is misused in math when teaching students. We are not canceling anything we are making ones and zeros. I never say cancel. I’ve worked hard to eliminate it from any teaching I do. Same with cross multiply, never say it. Instead I say “add to make zero” or “divide by or multiply by the reciprocal of to make one”. We use “cancel” to mean too many things and so they use the term anytime they want to get rid of something or slash something out. The basis for my concern: when I ask kids “why can you do that?” they often can’t explain. However, when it comes to squaring a square root, what is most accurate to say? I don’t correct the kids in that case, and I tell them that cancel means the same thing as “undo”. If the point is to be rigorous, “apply the inverse” is more rigorous and technical than “cancel”. In the topic of “get x by itself”, I’ve started saying “We want to say what x is. What would that look like?” They usually say “It would look like x = something”. Then they’ve chosen what the final equation ought to look like for themselves. 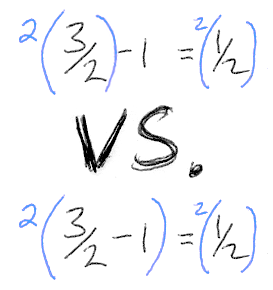 I wonder what would happen if we had an equation and then asked them to find out what, say, 2x+1 was. Even in my Advanced Algebra 2 classes I have started using the phrases “legal” and “useful”. In the original post adding 5x to both sides was definitely “legal” just not as “useful”. One of my refrains is that an algebraic step is “correct, but not useful.” Inspired by my dance teacher, I also talk about how a particular procedure is lovely, just not in today’s choreography (which is geared towards solving for an unknown/simplifying a trig expression/ finding intercepts, etc). Later the text goes on to ask students to construct and graph the formula for the average cost of producing the Mega-Grandma, which turns out to be a rational function given the constraints. 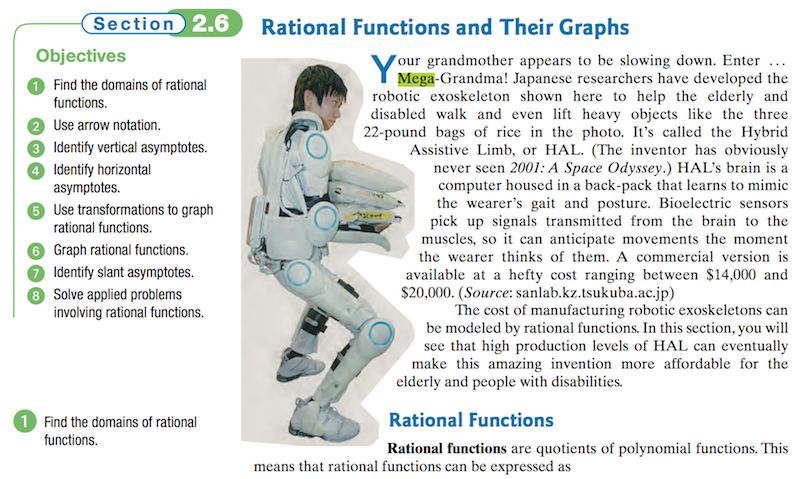 But the text might have been better served by asking students to solve for generic widgets, or tennis balls, or something a little less gonzo-bananas than the Mega-Grandma exoskeleton, which is all I’m going to remember from this unit in the textbook. BTW. Thanks to Jasper LaFortune for the submission.